A group of ice delivery men outside Storrs Ice and Coal Company, on the riverfront several blocks north of North St. The Mississippi River's relatively shallow depth at Hannibal (plus the transportation network here, among other factors) made the town a desirable destination for ice harvesting and distribution. Photo Courtesy of the Charles Webster Collection. As winter approaches and the riverfront freezes nearly all activity for the next few months, it would be easy to assume that the downtown area simply slips into hibernation until spring break - but not us! The Hannibal History Museum is planning and fundraising to expand its services to the community, just in time for the town's bicentennial year. 1. Adding permanent displays to the museum that explain the how and why of Hannibal's story, as well as adding temporary and traveling exhibits on topics that affected Hannibal...and the rest of the country. 2. Beginning an ongoing oral history archive that may eventually double as an internet-accessible podcast. 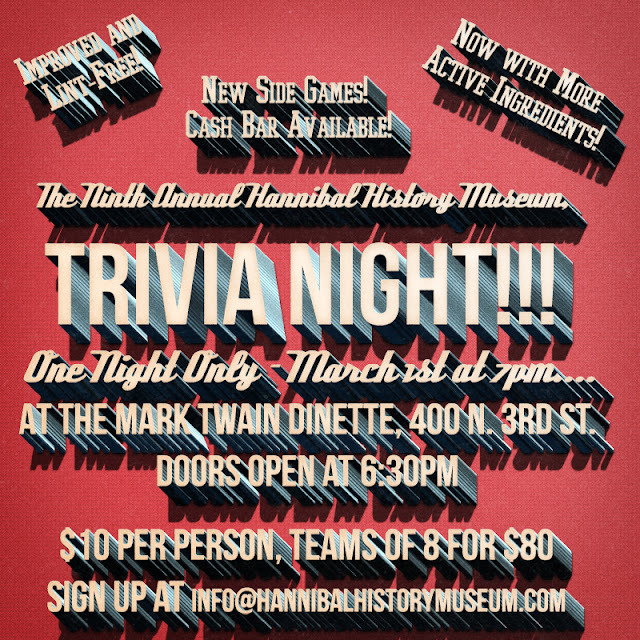 For those who believe they can be of help on this project, contact us at info@hannibalhistorymuseum.com. 4. For those curious about how people not only fought but lived in antebellum and Civil War - era America, we will be sponsoring a new weekend event near Bear Creek on May 4th and 5th. More details will be coming in the next two months, as we work on all the moving parts required to make a spectacle like this possible. 5. Oh, yes - a second steampunk event for those who can't wait for the Big River Steampunk Festival next Labor Day weekend. The Big River Steam Faire, a more intimate, DIY-centered offshoot of the Festival, will be held at the Admiral Coontz Armory (and at other undisclosed locations) on March 30th and 31st. Details will be posted on the Faire at www.bigriversteampunkfestival.com by mid-December. 6. Coordinating small history displays at various buildings throughout Hannibal as part of a 'museum of the city' project, in conjunction with the Hannibal Bicentennial Committee. Please subscribe to the 'Hannibal Bicentennial 2019' Facebook page to keep up with everything our community is planning for the coming year; it is inspiring to see how many groups have shown interest and pride in Hannibal's past! 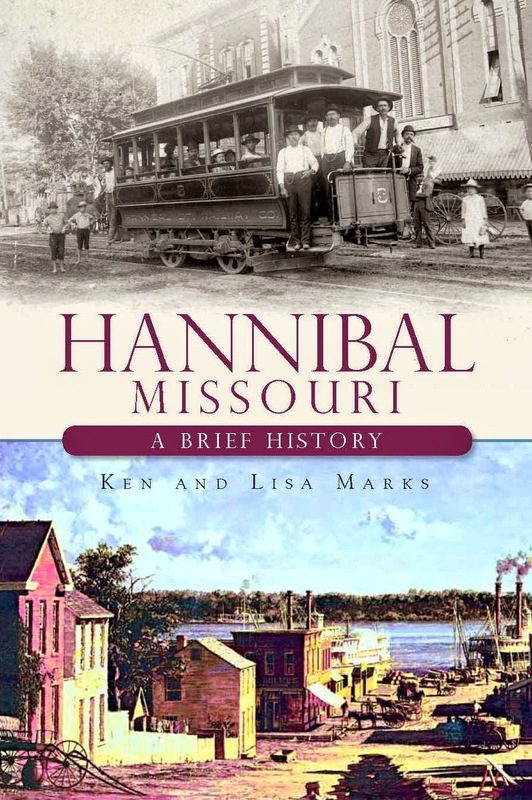 The museum is a 501 (c)(3) corporation that functions as a free (or donation-based) museum because we believe it to be the best means to reach the largest audience possible to promote the history and attributes of Hannibal to residents and the rest of the world. However, this also means that fundraising is even more critical for the museum than an entity that receives a significant amount of funding through admissions and/or a private foundation. Our budget is quite modest for the number of people we reach each year (20,000 - 25,000 visitors/year, not including crowds from the Big River Steampunk Festival), and proceeds from fundraising go toward overhead and programming/displays - there are no paid positions at the museum. This time of year is the most important for us, since gift shop sales and special events are at a low ebb throughout the winter, yet the costs of continuing the museum keep chugging along. We have started a fundraising page on Facebook at https://www.facebook.com/donate/268331197200854/?fundraiser_source=external_url through December 5th - for those who have already contributed, thank you so much for believing in our mission! For those with experience in fundraising who are looking for a new challenge, drop us a line through this website! We are working on a new committee for 2019 to ensure the museum's long-term future, and we'd love to have you on board. Before technology allowed for the manufacturing of ice at will, the next best option would be to harvest the ice when nature made it possible. When the river would recede to levels such as 6-8 feet, and the currents were still, winter temperatures could allow to river to freeze. At a minimum depth (6-9 inches), horse-driven plows carved up the ice, and the resulting blocks would be transported through a conveyor system to a building like the one above. A solid building with ventilation (to remove heat) and insulated interior could hold the ice for months, even a year; one method to extend the life of the ice was to embed it in sawdust within the building. Some receipts from 1890s-1900s show that an icebox in a family home would expend 100 pounds of ice per week in the summertime to preserve its contents! On that chilling note, we at the museum wish you a happy, stress-reduced holiday shopping season! Please subscribe to our facebook page for more updates.